Abu Dhabi: National Geographic on Wednesday announced a four-year partnership with the Mohammad Bin Rashid Space Centre (MBRSC) to document the UAE’s journey into space. In a four-part documentary series, National Geographic will present to the world the UAE’s meteoric rise into space. The series is set to capture the essence of why and how the space industry was established in the UAE, its importance and how it plays a larger role in tackling the environmental challenges facing Earth today, from climate change to declining natural resources, to food security. At the same time, the series will examine the feasibility of life beyond our planet based on data collected from space and advanced research. The National Geographic series will capture stories such as the development and historic launch of KhalifaSat, the first 100 per cent Emirati developed satellite, travelling to Mars, and building the first city on Mars. “We are so proud of this groundbreaking partnership, which celebrates the UAE leadership’s bold vision to inspire generations of Emiratis to reach for the stars,” said Sanjay Raina, senior vice president Fox Networks Group and general manager for Middle East, North Africa and Pakistan. “Our fascination with space goes back over 100 years and we have been passionate about bringing stories of new frontiers of exploration to audiences around the world since then,” he added. “What is equally important in this massive undertaking by MBRSC is its goal: to create sustainable solutions to our global resource and environmental challenges and provide an international platform for knowledge sharing and development,” Raina said. National Geographic’s camera lens will also delve into the build-up towards the UAE’s most daring projects to date, particularly those related to Mars. These episodes will focus on the Emirates Mars Mission (EMM) — Hope Probe, the first Arab mission to Mars that is set to launch in 2020 UAE; as well as the creation of a hundred-year plan to establish a liveable city on the red planet in 2117 through Mars 2117 Strategy. 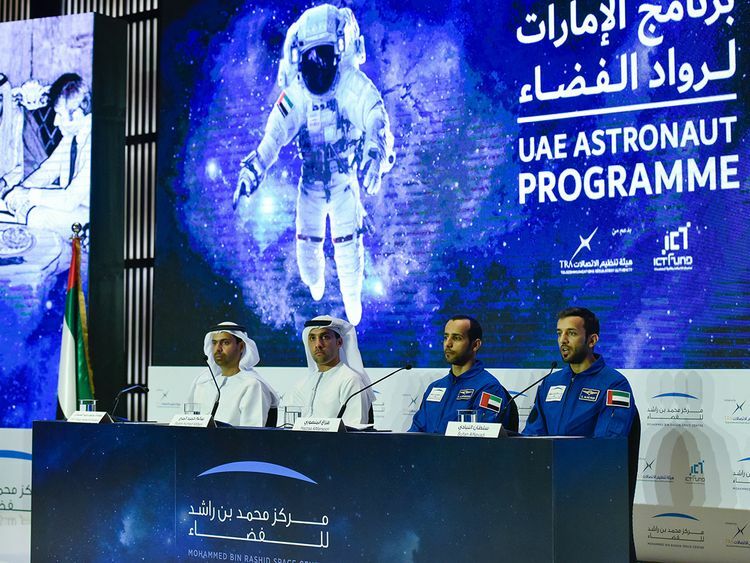 The series will also detail the development of future astronauts by the UAE Astronaut Programme and follow the journey of the first Emirati Astronaut Corps, featuring their selection process, training and the mission of the first Emirati Arab astronaut to the International Space Station. In Nat Geo’s addictive factual entertainment style, the series will combine multiple story threads, covering all aspects of MBRSC’s work. Above all, National Geographic will turn the light on the truly human and emotional stories behind the people at the MBRSC who are dedicating their life’s work to a better tomorrow for the UAE.